These are beautiful high heels, in a delicate silver colour. 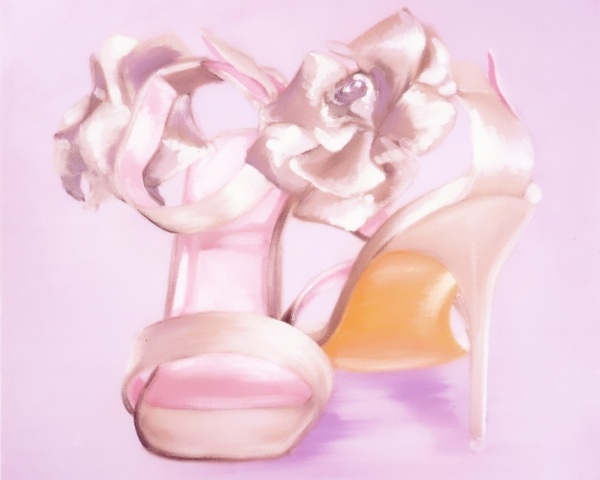 The contemporary colours and style of shoes brings a modern twist to traditional oil painting techniques. This painting was featured on a range of greetings cards produced by Camden Graphics.